Supporting the Dub’s, Helping the Refugees. 6th class have been very busy in the past fortnight . After discussing the Refugee Crisis they all felt that they should do something to help. At the same time Dublin reached the All Ireland Football Final and as part of art the class were learning how to make headbands, wrist bands and mini Pom Poms in the Dublin colours. A set of 4 flags was also donated to the cause by an uncle of one of the students and these were raffled at the end of the week. In total we raised a whopping 289 euro which we are delighted with. This money will be donated to two charities Oxfam Ireland who work with refugees in camps in Italy and Greece and GOAL who work in Syria with the people left behind. 6th class would like to thank the boys and girls in 3rd, 4th and 5th class who supported their efforts and brought in money to buy our wares. Dia dhaoibh ar maidin. Anna and Trofim here on our way to Croke Park for the AGM of the Dublin City Comhairle Na n’Og. We will be blogging throughout the day to let you know how we are getting on. 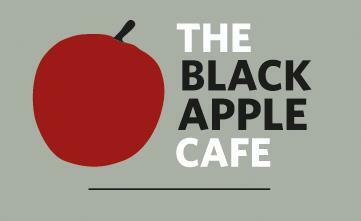 Art Exhibition in the Black Apple Cafe. In order to celebrate the end of their time in St. Clare’s, our 6th Class pupils will exhibit some of the wonderful pieces of art which they created over the past year. 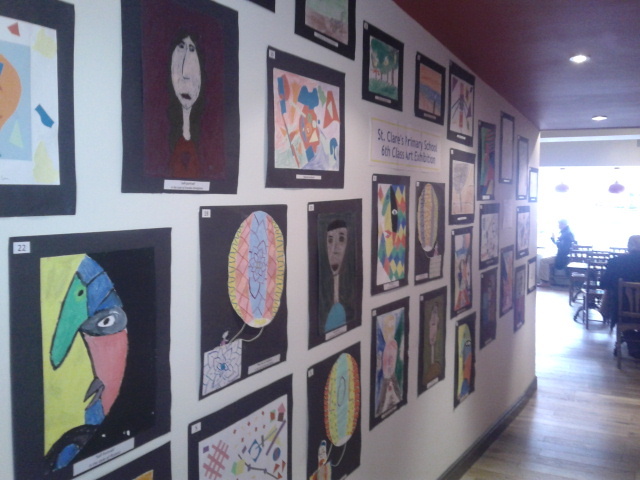 The pupils are very excited about their artwork being displayed in the Black Apple Cafe, Harold’s Cross. The owner of the newly opened cafe is more than happy to host the exhibition and is most impressed with the work which the pupils have chosen to exhibit. The art exhibition will be open to the public from Friday 15th of June and will close on Monday 25th of June, in time for the 6th Class Graduation Mass. For anyone who might be interested in purchasing any of the paintings* they will be on sale at a price of €5 each. All proceeds will go towards raising money for the school. *Please note that all sold paintings will stay on display until Monday 25th. Parents of 6th Class pupils may pay for and collect their pictures after the Graduation Mass. All other paintings may be paid for and collected at the school on Tuesday 16th June.